Home API system Boom! 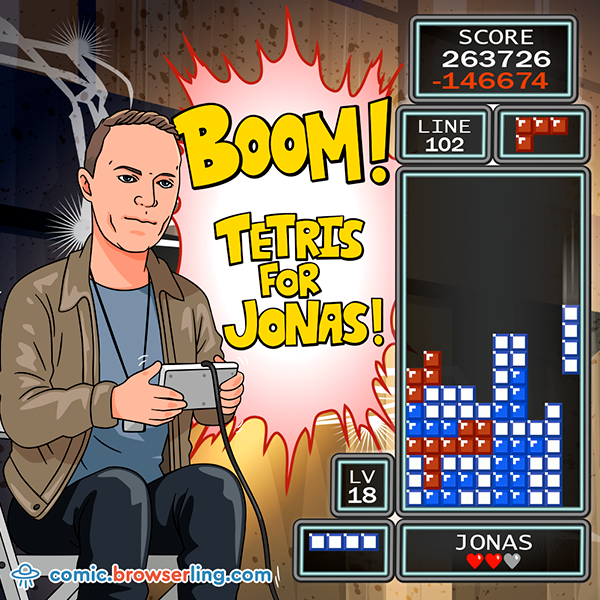 Tetris for Jonas! Jonas lost his Tetris world champion title last week. I made this comic as a tribute to him. Here are the final moments from the Tetris world championship 2018.